Great gift for most desktops. The 5-1 Mini Desk Organizer will help keep your desk clutter free. The Mini Desk Organizer gives you the ability to bring it almost anywhere. You can even bring it to your meeting or conferences. 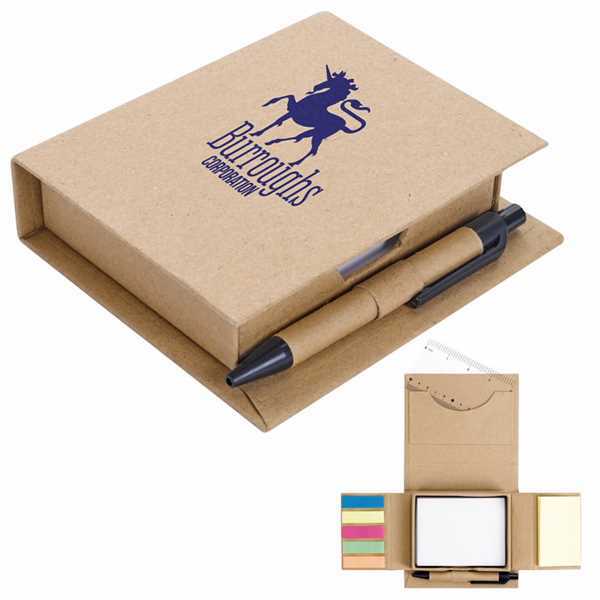 Includes foldable case, Mini Pen with medium point black ink, yellow adhesive notes, 3" ruler, pack of loose leaf paper and sticky notes in 5 neon colors. Size: 4 " x 4 5/8 " x 1 1/8 "